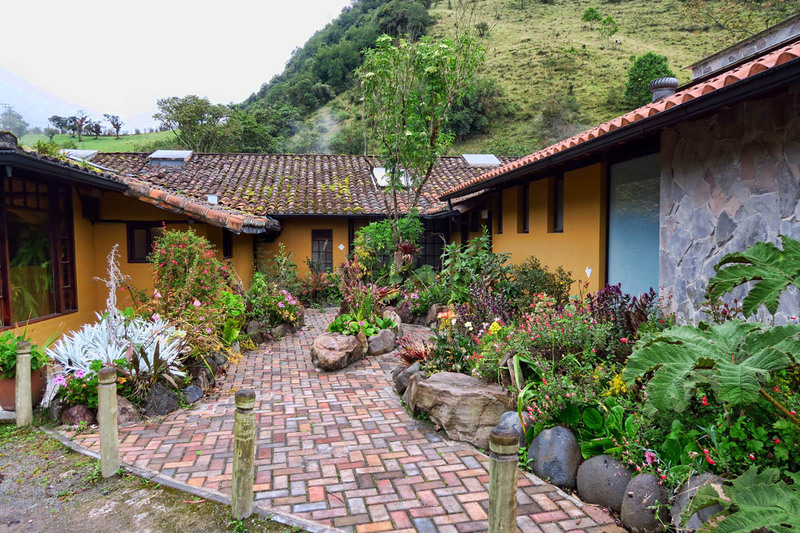 I’d all but given up on my dream of finding a last minute discount cruise to the Galapagos Islands, my sole reason for flying to Ecuador at the end of my Mexico journey. While Plaza Foch lived up to its reputation as being the central location of dozens of travel agencies, discounts were not as deep as I had hoped. I wandered every street, popping into shop after shop, but nothing seemed to fit within my budget. Between that frustration, the robbery, and my busted camera, I was starting to turn my sights toward a return flight to the US. 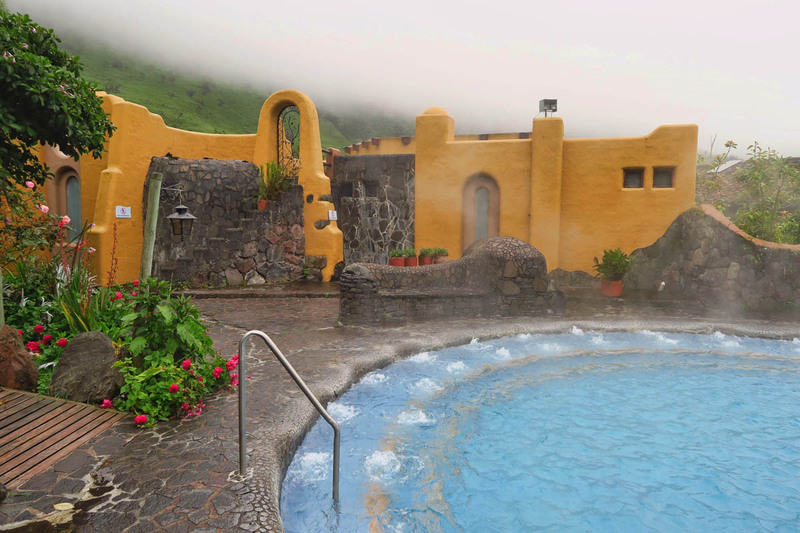 Tomorrow, I would bask in the healing warmth of the hot springs, 11,000 ft up in the Andes where steam rises off the volcano-heated water to meet the wispy clouds pouring down from the verdant mountaintops. 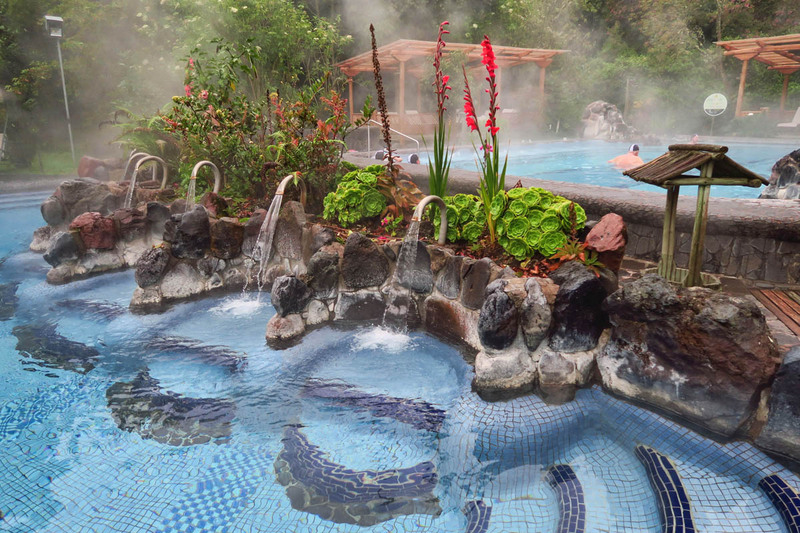 I would soak my cold bones, soothe my shattered confidence, and rest my weary mind while dreaming of finally crossing the Galapagos Islands, the longest standing item, off my bucket list. 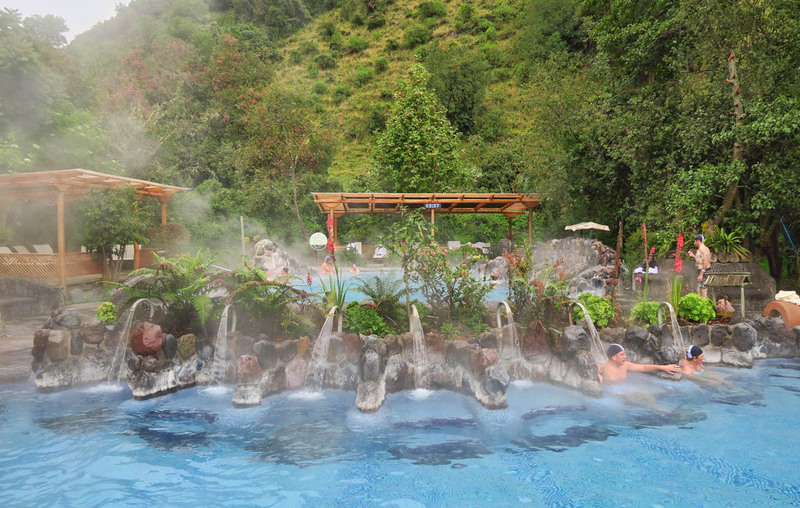 Termas de Papallacta is located in the Andean village by the same name, about two hours drive SE of Quito. I booked a day trip through a tour company. At $60 for the day tour, it was a bit pricey, but it included the $23 entrance fee to the pools, and entrance to the vapor cave. While there is a much cheaper option via public transportation, it required two public bus changes and a taxi, something I just wasn’t up for, still feeling somewhat vulnerable. 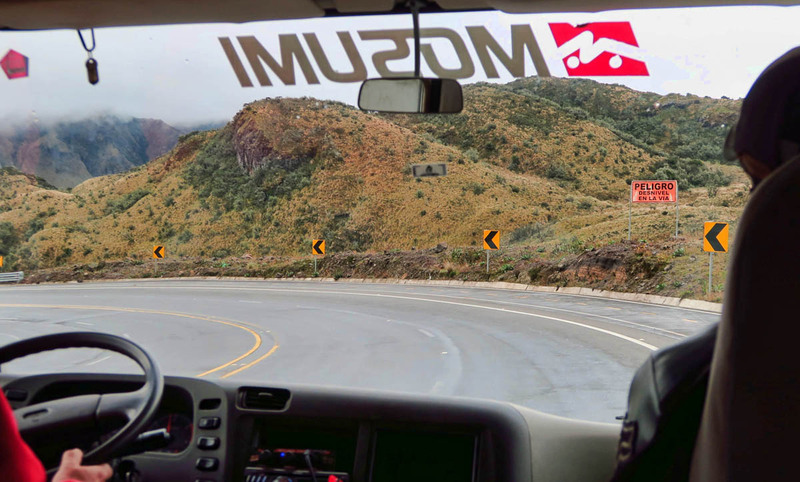 The tour would allow me to relax for the ride without having to be so paranoid about my possessions. 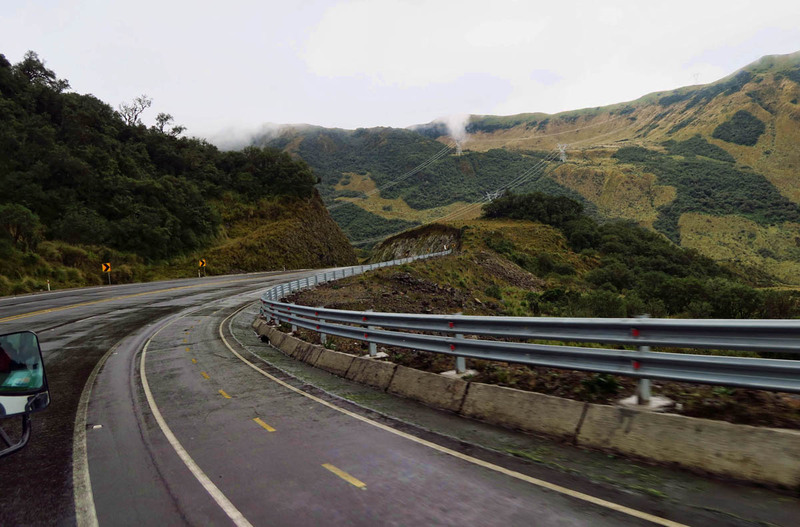 The drive up over the mountains was just gorgeous over modern 4 lane highway. 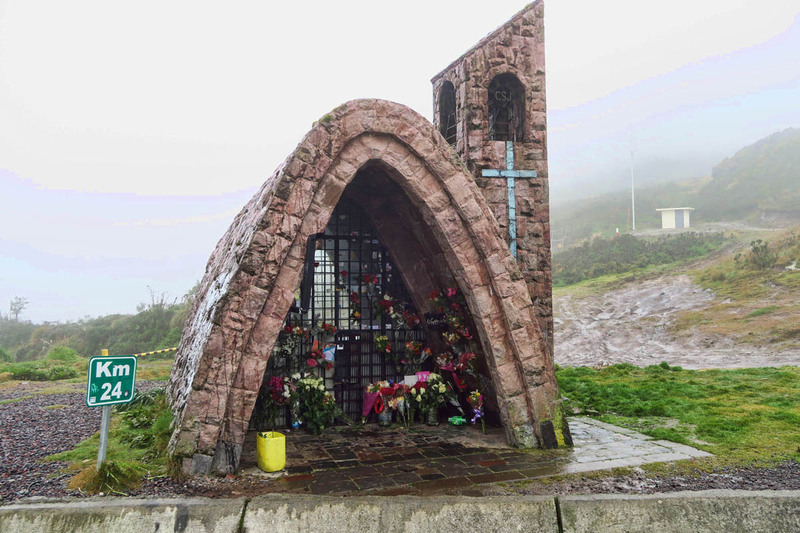 At the top of the mountain pass was this little chapel for drivers to pull off and rest, pray, or make offerings. Cruises in the Galapagos Islands don’t come cheap. I knew this going in, so I set a “red line” budget of $3,000. 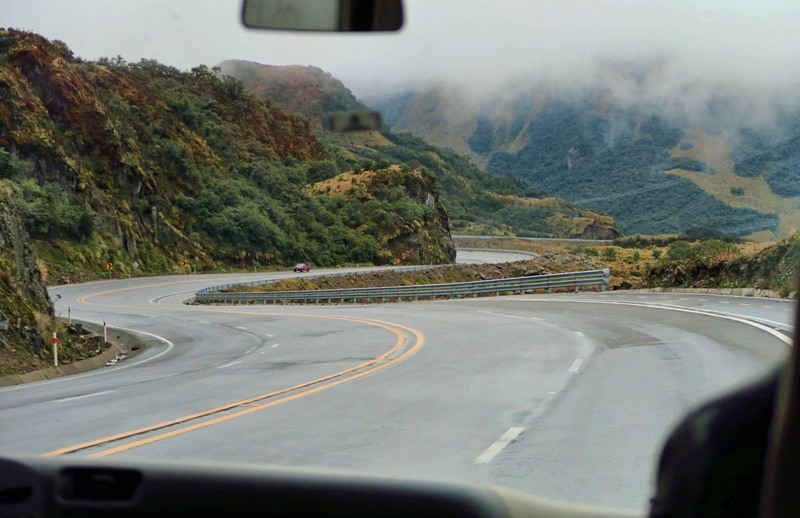 This had to encompass everything, including airfare, $100 Galapagos National Park Fee, the $20 transit control fee, and crew tips. While this may sound extravagant to some, consider that this is about half price to what one pays when buying in advance, stateside. Buying a last minute cruise means you must have all kinds of flexibility, be willing to accept any myriad of combination itineraries, and assume a little bit of risk. It also means you usually must purchase your own airfare, which has limited capacity. It can be a bit of a gamble as the price of the airfare goes up as the last minute cruise prices come down. 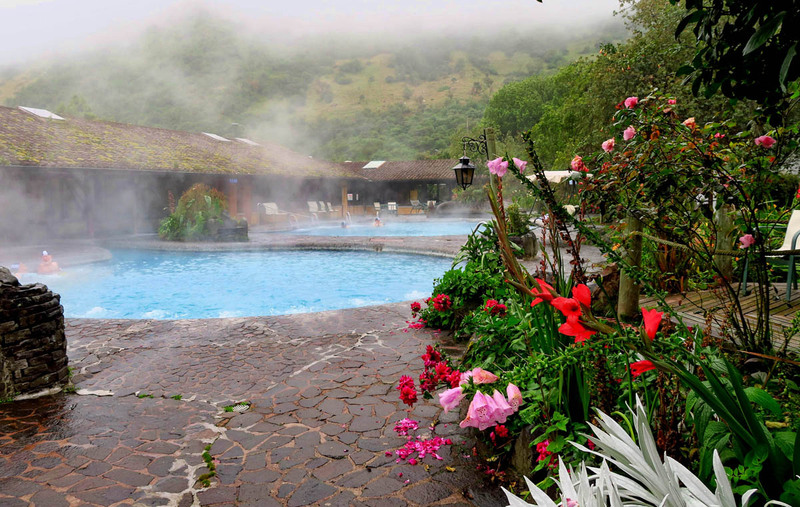 Termas de Papallacta is a beautiful resort. 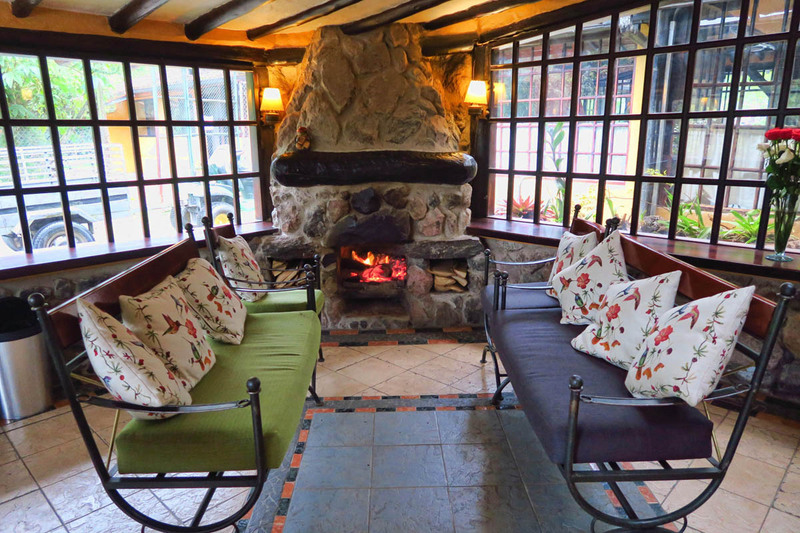 Though a bit out of my price range, it offers cabins with fireplaces. 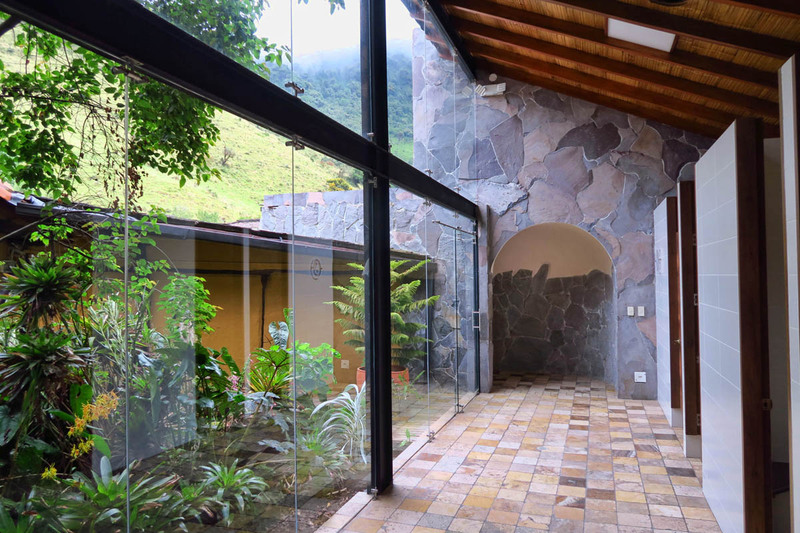 Lobby of the Termas de Papallacta resort. 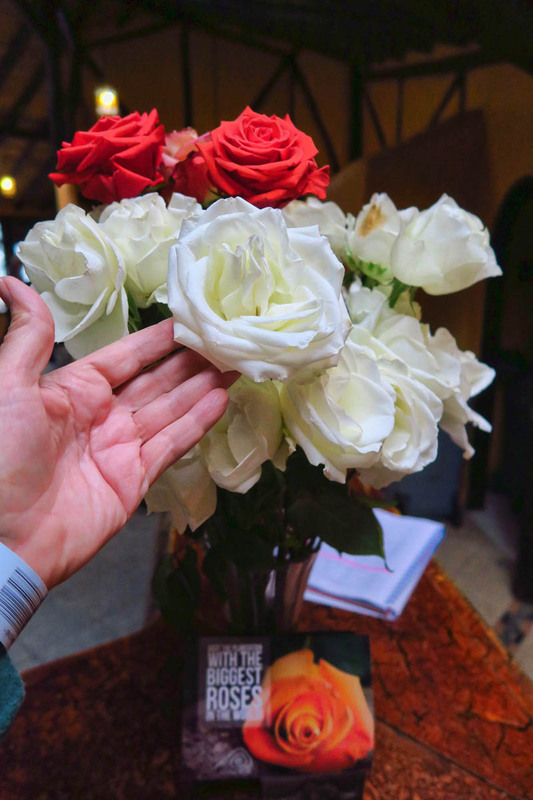 Roses are everywhere in Ecuador. The direct equatorial sun overhead enables them to grow on long, straight stems. 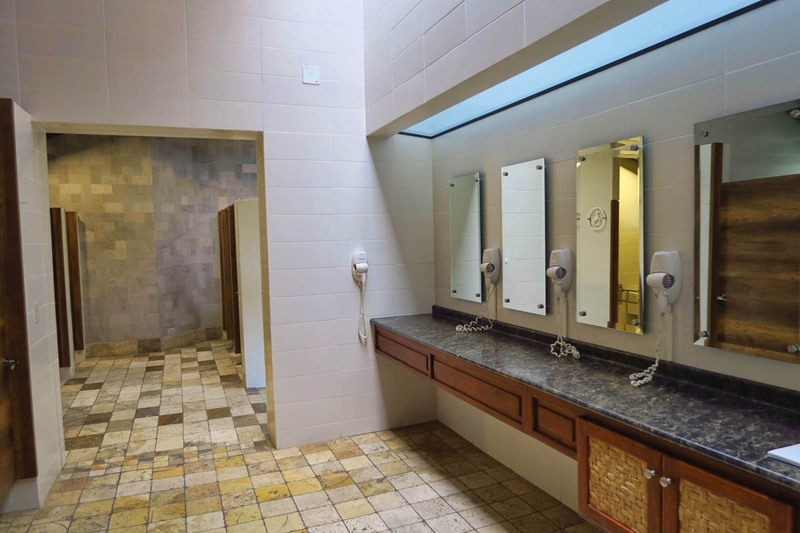 Bathrooms and changing area all surround a plant-filled atrium. I am basking in the luxury of these bathrooms, a real treat from my shared bath back at the hostal. I tried to keep my criteria vague, but the more research I did, the more my wish list grew. I had hopes of being able to afford at least an 8 day itinerary. Research cautioned against anything shorter, since the first day would be spent getting to the boat, while an early departure would be required on the last day to vacate the cabins for the next round of guests. While 5 day cruises were certainly more in line with my budget, they only netted out three days on the islands. Another wish was to find passage on one of the smaller ships. Sixteen passengers was my maximum acceptable size. I wanted no part of the larger boats that hold up to 100 people, preferring instead to have a more intimate experience. 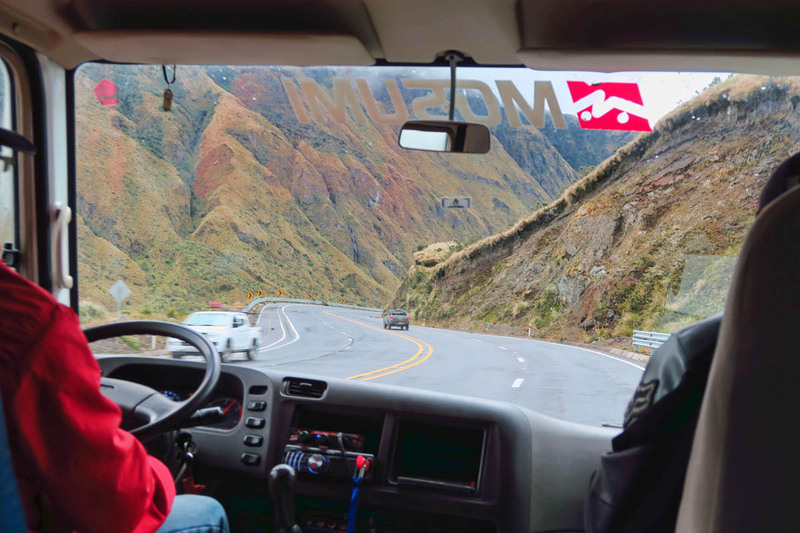 Traveling with a larger group means having to choose between different activities, as the Ecuadorian government strictly requires landing parties to have one naturalist guide per 16 passengers. This means on larger boats, one must choose between activities, which tends to give me a bad case of “FOMO” (fear of missing out.) In a smaller group, one gets to “do it all”…or at least all that’s on offer. One might think being right on the equator it would be warm here, but at 11,000 ft, it is cold! Clouds hover over the mountaintops. 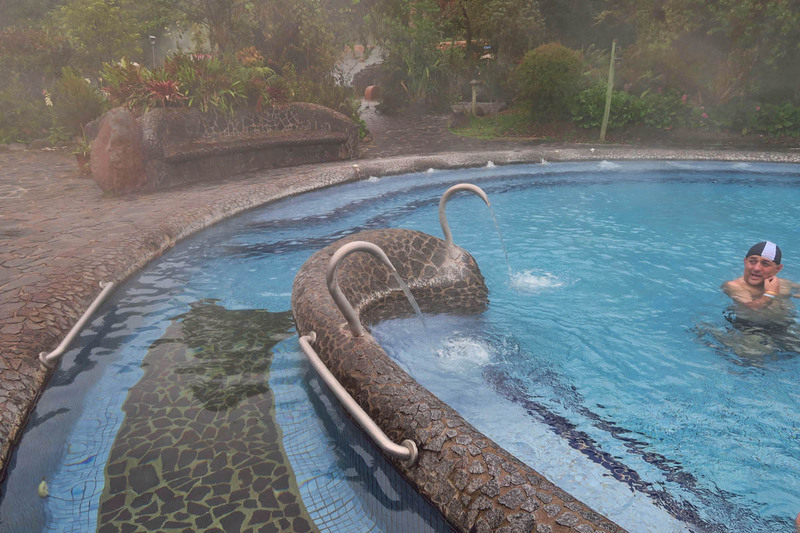 Steam rises up to meet the misty fog rolling down from the mountains, making the warm water feel even more soothing. 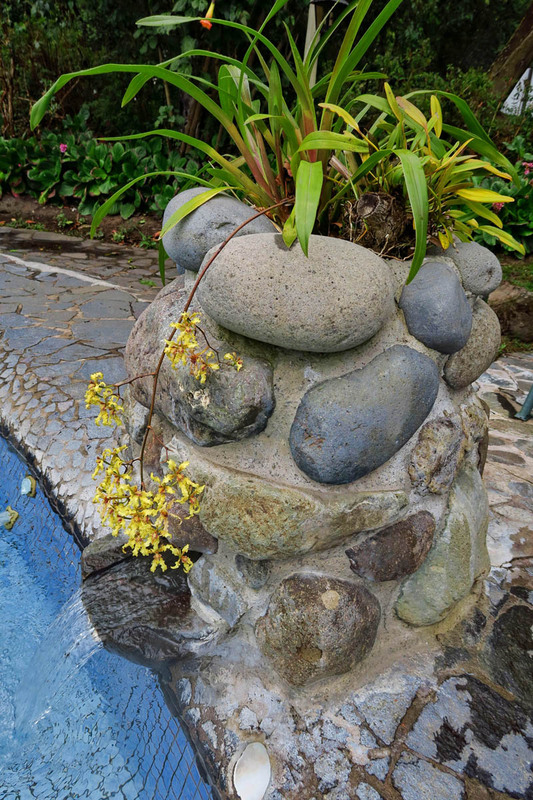 The grounds are beautifully landscaped, with orchids, rose bushes, and colorful blooms all around. All the pools have some sort of massage jets. There are four categories of cruise ship in the Galapagos Islands; Tourist, Tourist Superior, First Class, and Luxury. While the first two categories were likely outside my budget, I was hoping to be able to afford a First Class boat. This categorization often times dictates the caliber of the Naturalist Guide, something I learned could make the difference between a memorable experience or a mediocre one. The nicer boats tend to snag the better guides, as many of them work freelance. I also wanted a boat that included all snorkeling gear (inc. wetsuit) and kayaking. I am probably the rare exception in that wildlife, the reason many come to the Galapagos, did not really factor into my decision. I’ve seen sea lions, penguins, and albatross in Antarctica, blue footed boobies and frigate birds in the Baja, and giant tortoises in the Seychelles. So for me, it was more about the overall experience in the pristine national park. Underwater lounges aid in relaxation. 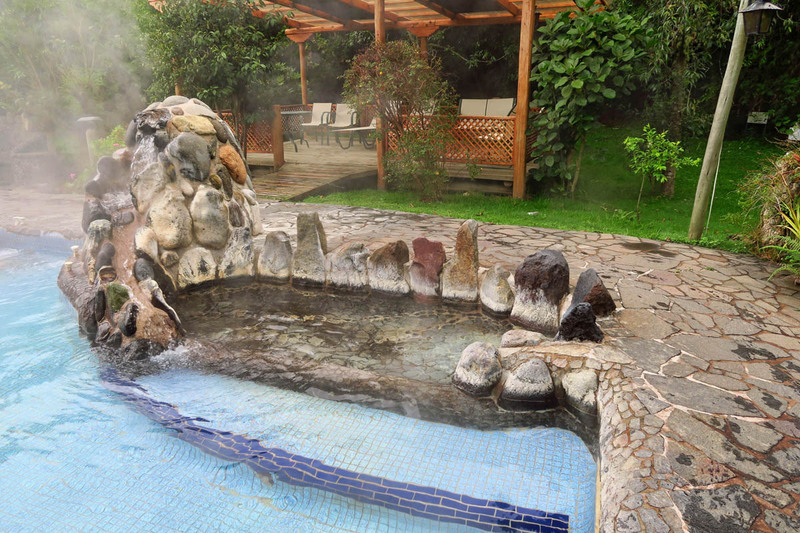 One of the sources where the volcanic heated water comes into the pools. Water is really hot near here. 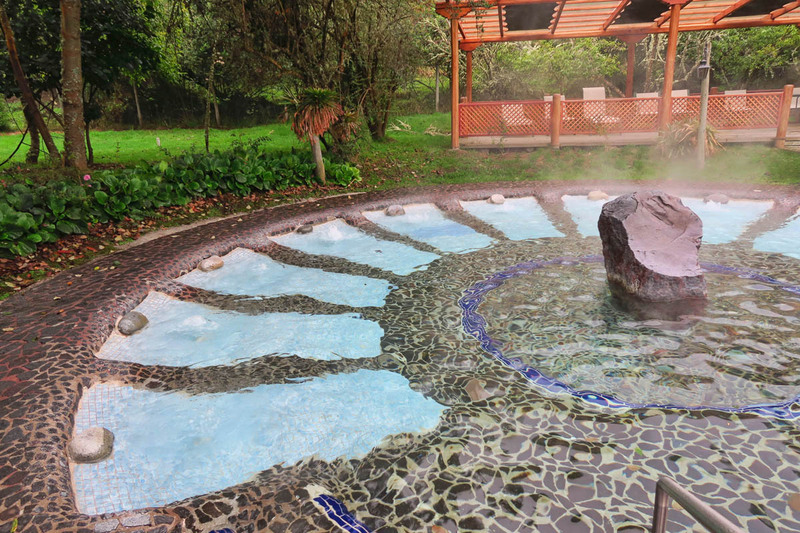 There are six large pools for soaking here. Finally, I was hoping to find a boat that offered a single cabin, without having to pay the usual 50% single supplement. I knew this one was a long shot. While I’ve had to share rooms with other travelers in the past, I know having a stranger for a roommate can be a “make or break” situation.